For his first UK commission celebrated French Tunisian ‘calligraffiti’ artist eL Seed paints a large-scale mural in the heart of London’s urban art quarter. 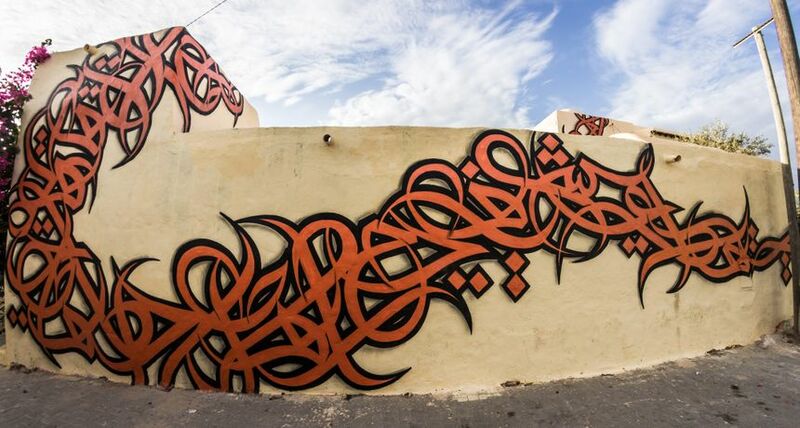 Blending Arabic calligraphy with graffiti techniques, eL Seed has developed a distinctive and striking style, fusing poetry and language with dramatic design to create large-scale works. His creations adorn the 47m high minaret in the Southern Tunisian city Gabes, a wall on the Institut du Monde Arabe in Paris, motorway underpasses in Qatar as well as walls in New York, Melbourne and Jeddah. This is his first London commission. Born to Tunisian parents in the suburbs of Paris, eL Seed did not start learning standard Arabic until his teens. 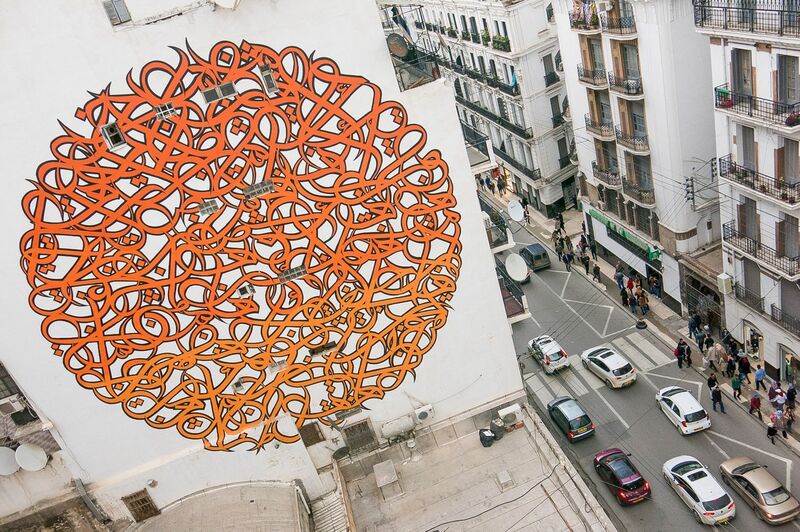 This triggered a renewed interest in his Tunisian heritage, quickly developing calligraphy and graffiti as a visual and democratic force to directly communicate with people. Since the revolution in 2011 he has created numerous bold works in the country, including an epic journey for his book The Lost Walls of Tunisia.